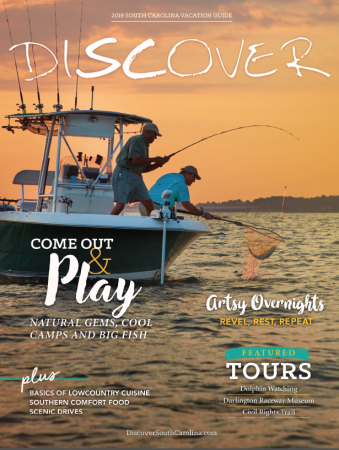 Discover South Carolina. The annual vacation guide inspires visitors to take epic getaways throughout the state. From the mountains to the midlands and across the coast, enjoy outdoor activities year-round. Learn more about popular vacation destinations such as Charleston, Myrtle Beach, and Hilton Head Island. Also discover Greenville, Columbia, and other southern charmers that celebrate the state’s flavors, history, and culture.